ChargeIt by Jay Round Braided Gold Glitter Glass Charger Plate 13"
Home > Products > ChargeIt by Jay Round Braided Gold Glitter Glass Charger Plate 13"
Impress guests by presenting soups, salads, and entrees on the ChargeIt by Jay Round Braided Gold Glitter Glass Charger Plate 12.5". 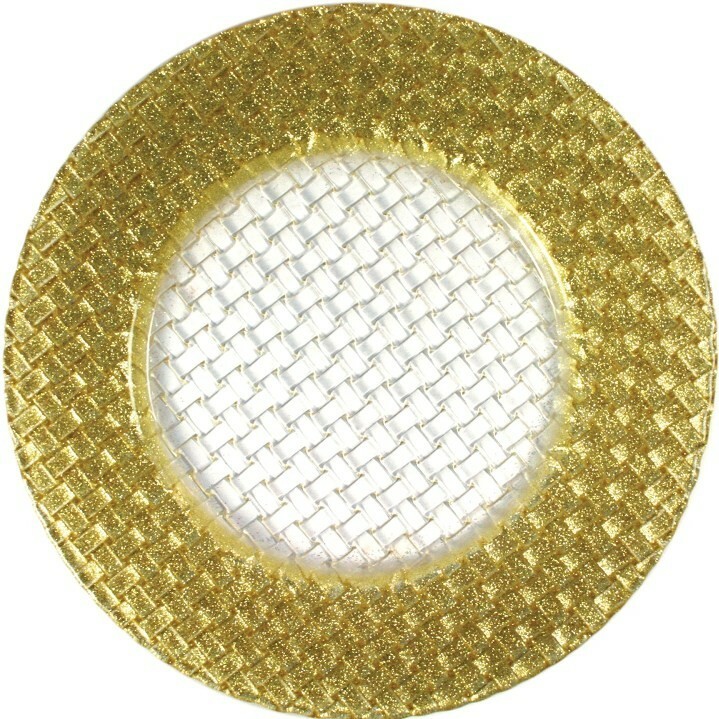 Beautifully designed with an intricate braided pattern and eye-catching gold glitter rim, this striking charger plate adds sparkle and sophistication to formal receptions, lavish parties, or elegant banquets. Combining an upscale look with premium quality construction, this round charger plate is made from exceptionally durable glass. Primarily used for accentuating your table decor, it also protects against spills and mess that would otherwise stain the tablecloth.